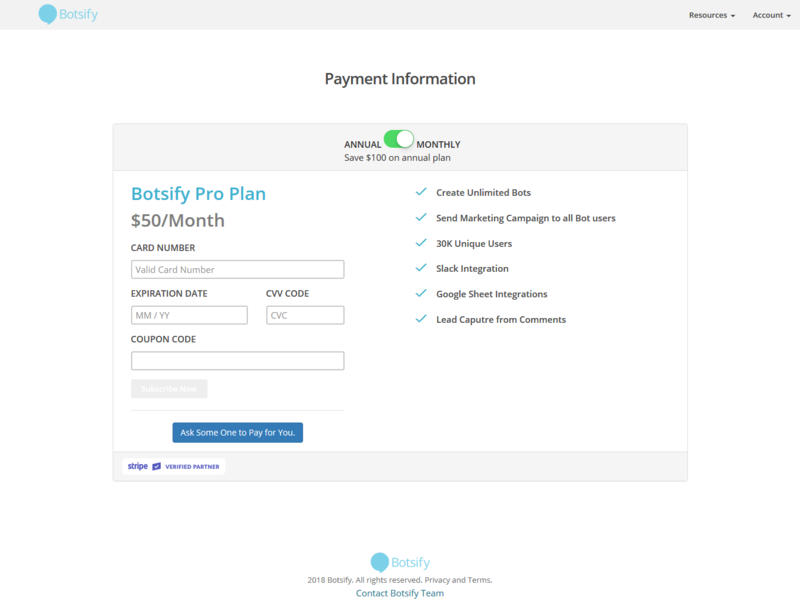 Let's login to our Botsify account to subscribe to a pricing plan. I will login with my Facebook account into Botsify. I can see on the top right of my dashboard, I have an option that says "Add Payment Info". Let's click that. You will type your credit card number, CVV code, and expiry date. Our payments are powered by Stripe so it's fully secured. Once you have added your payment information, you can select the plan which you think is suitable to your needs.